The implementation of guidelines for the defence Strategic Partnership model has been finally approved by the Government. The model incentivizes domestic private and foreign firms in military manufacturing in India. This decision of implementing the policy was taken at a meeting of the Defence Acquisition Council led by Nirmala Sitharaman. “In continuation of its efforts to boost indigenous defence industry and to reduce timelines so as to ensure timely delivery of equipment to the Armed Forces, the DAC discussed and approved implementation guidelines for the Strategic Partnership Model,” a defence ministry spokesperson said. The first project to be launched will be 111 utility twin-engine helicopters worth approx Rs 21,000 crore for the Indian Navy. This model was first announced in May 2017 to identify Indian private firms to be designated as Strategic partners. It also allows the defence PSUs and the Ordinance Factory board to tie up with foreign original equipment manufacturers to produce military hardware. The aim of this model is to revive the defence industrial system and improve the capabilities in the private sector to design, manufacture and develop complex weapon systems for the future needs of the Armed Forces. “Global majors, who in collaboration with Indian partners are ready to make India a regional and global manufacturing hub for the platform will also be incentivised. 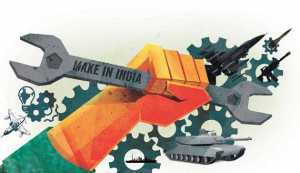 The move will give major fillip towards encouraging self-reliance and aligning the defence sector with the “Make in India” initiative of Prime Minister Narendra Modi”, said the spokesperson. To kick off the process, the procurement of 111 naval utility helicopters have been approved by the council. According to the sources, 16 helicopters would be procured from foreign vendor and remaining 95 would be build in India by an Indian partner though joint ventures and technology transfers.